Kirsty Gallacher has reportedly enjoyed a steamy encounter with comedian Jack Whitehall after their chemistry sparked during a star-studded party. The presenter, 42, and 29-year-old Jack – who have been friends for several years – apparently started to get close at Londons Groucho Club in London after a showbiz event before heading off to a private room together at a friends party afterwards. “The chemistry between them was brewing all night,” a source says. “They had the hots for each other. “They later went to the Groucho Club in Londons West End, then to a party at a flat, taking some friends with them. “When they got there, they ramped things up and werent trying to hide it. It sounds like theres certainly a strong spark between the pair but its unclear what the future holds for them. “Jacks always had a thing for Kirsty and thinks shes hot,” the insider tells The Sun. “Given that they are both single, they went for it. Its been claimed that the funnyman told his TV mates Jamie Redknapp and Freddie Flintoff about his fling with Kirsty. Kirsty has previously appeared alongside Jack on panel show A League Of Their Own in 2014 and 2016. The mum-of-two has been single since splitting from rugby star husband Paul Sampson four years ago. 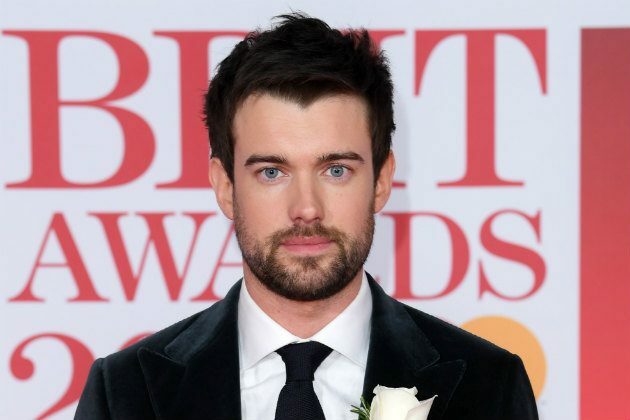 Meanwhile Jack separated from long-term girlfriend Gemma Chan last year, though was briefly linked to singer Dua Lipa after The BRIT Awards in February. Its not the first time recently that Kirsty has hit the headlines – last summer the Sky Sports host was given a two-year driving ban and 100 hours of community work after being charged with drink driving. The post Ooh! Kirsty Gallacher, 42, has steamy romp with Jack Whitehall, 29, after star-studded night out appeared first on Woman Magazine.